Gardeners Paradise with awesome views and total Privacy! 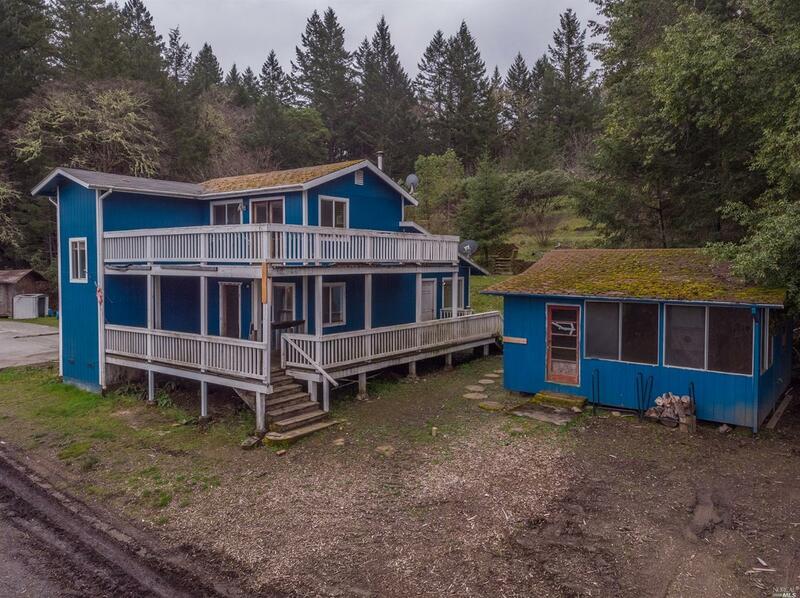 This two bedroom two bath home sits on 26.12 acres that includes a separate 4 acre parcel with pond. There are multiple building sites, and fruit trees Enjoy looking out at the moon while using the Japanese soaking tub in the master bath. The main bath is complete with tiled walk in shower and a bidet. The kitchen has granite counter tops and new gas stove top. Central heat and air. Kitchen: Cntr Stone Slab, Cooktop Stove, Dishwasher Incl., Disposal Incl, Double Oven Incl., Hood Over Range, Microwave Incl., Refrigerator Incl.